High’s and low’s, we all have them. Getting up from a down is necessary for a long and full life. I’m looking to accelerate my fitness and conditioning and trying a new thing: a weighted fitness vest! It’s a total of 20 lbs. It feels heavier in the hands than on the body. But I do martial arts with much, much younger people so, not that I’m trying to match individuals 30 and 40 years my juniors, I’m trying to be above average of my own age group. Shees! Eight rounds is my standard workout: shadow boxing, heavy bag, stationary bag. I’m tired and hungry! For several years now I’ve been training an eclectic mix of martial arts for myself. In a single session I often train Kickboxing, Reality Based Self Defense, Kali , Jiu Jitsu, Silat, and Karate. That’s why my training sessions have to be about 2 hours long, after a warm up. I’ve trained these exclusively at times, meaning all I did was Kickboxing or Kali or Systema to the exclusion of the others, for weeks, months, or years. Now, after almost 50 years in the martial arts, I am comfortable mixing all of them to my joy and delight. Sure, it’s good to have a solid foundation in any one of them, realizing the benefits of the style or training, and recognizing the liabilities of each. Training a particular martial art’s skills sets make for solid skills that those who try to do it all at the beginning lack in. Look at MMA’ers who have done nothing but MMA. Yes they kick and punch and throw and choke. But so often their kicks look amateurish, clumsy, unbalanced. Their punches look like schoolyard haymakers and nothing else. They look for volume and brute force, not precision. Then look at someone like Cung Le or Geroge St Pierre. Cung Le has one of the best looking and most effective lead leg side kicks in the business, and George all round demonstrates abilities that only come from exclusive Karate training. But these are professional athletes who will do whatever it takes to win in a competition. They are also subject to protocols us civilians are not, like starting face to face in a ready stance, having a referee who will restrict them to the rules, having a particular space to fight in. We need to recognize some subtle differences between training martial arts for fight sports, and training martial arts for self defense. I’ve had my fun training for competition, won and lost. I’ve had a couple of real life encounters, won and lost. Losing a real life encounter is a lot different than losing in a tournament. Hell, the entrance to each is a lot different. In real life there will probably NOT be a get ready face to face start. Your real life opponent may be a better boxer than you. You, a good stand up boxer may find yourself on the ground in a flash at the start. You, a good Judo/Jiu Jitsu person may be attacked by multiple attackers. In a multiple opponent scenario “pulling guard” on one person can be suicide. Instructors need to think and choose what they want to teach and train. So I train a variety of skill sets. Each with its own progressions, but in no particular order. In any training session with me you may do some boxing, knife tapping, take downs, ground work, self-defense scenarios. Does that sound chaotic? When you step outside the dojo, I don’t know what you may encounter, if anything, and hopefully never. When you step outside the dojo, even on the first day with me, I want you to be at least familiarized with more than one of the many chaotic possibilities you may encounter. We can’t cover them all every time, but we can certainly go over more than just a rising block against an uninspired front punch. For those who’ve asked; No I don’t teach Shorin Ryu Karate. I don’t teach Tae Kwon Do. I don’t teach an exclusive brand of Filipino Martial Arts, I don’t teach American Kickboxing, etc. I teach skill sets from these and other martial arts that I’ve trained along the way, and I’m still learning. If you’re looking for a black belt in something or other, a certificate as a guru, I don’t offer those, you can buy them or make them up for yourself like many have done. If you’re looking to train all around fighting and random self-defense skill sets for your own personal edification; then I may be the one to call! …or glorified by a plaque and picture. Rickbo. I am in no martial arts hall of fame, or currently member of any association. There are so many martial arts organizations these days! I’ve been a member of a couple. Not too many, since monetary fees are involved, and I can think of other things to do with those monies. But I’m not big on being part of martial arts organizations. They don’t really serve my needs in an extended manner. Often, they really don’t contribute much to your martial arts skills and knowledge. I am suspect of that kind of validation. Actually, I find it superficial. 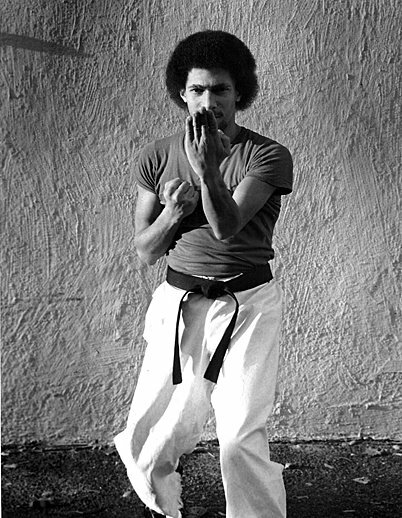 You see, I grew up believing that the greatness created by martial arts training was mostly invisible. It was beyond physical skills, and certainly beyond photo ops, even beyond the validation of a plaque. I too have some photos with martial artists, some I’ve trained with extensively, and some just a few times. I’ve trained with more people than I have photos with. Why? Because we spent our time training. But, I would invite my friends, teachers, students, and any others, not to use the photos or certificates, or even belts, as an accreditation of my soul or my character. For that you have to experience my presence. Everything else is easily deceiving. In Zen, the Satori; the transcendent experience of the sublime, in a manner, your mastery, is said to occur as a transmission beyond the scriptures. That means that the experience did not come by passing a standardized test and getting a certificate or diploma, and it is not validated by a declaration, paper, or external symbol. Many masters are mostly unknown and not easily recognizable. 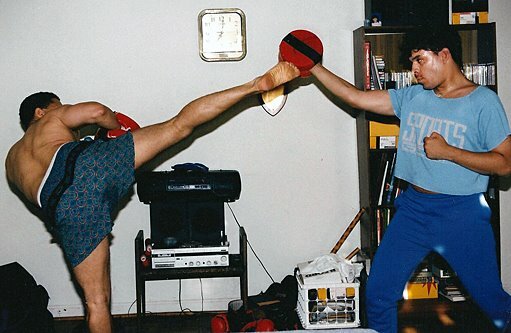 Let’s be honest, you pay your way into most Martial Arts Hall Of Fame things. When you join an organization you get an “In Good Standing” diploma, and I’ve seen where people have paid to attend a seminar, not participated, and went and got a photo with the master. Wherever I live, I try to establish a relationship, a simple relationship, with a martial arts instructor, club, or school where I can learn, train, or teach. I’ve been fortunate in always finding one. I’m happy being an active martial artist without personal celebrity, and without the validation of multiple organizations. I don’t even have many facebook connections, and I like that. I understand the marketing value of the fame, but my martial arts practice is a personal thing, not a corporate one, and, like I express in my addendum to the epigraph, celebrity and external validation do nothing for the soul. We had some sparring in class this past Sunday. We do it every few sessions. I believe in regular sparring, but since I’m not training professional fighters, we don’t have to go paranoid crazy at it. We took some hits, but I don’t think anybody was willingly giving up some hits to take any. As an instructor, it’s one of my biases, don’t get hit. I don’t training you to get hit and get hurt. Stylistically, as a matter of personal martial arts development I’ve always sought to be a “finesse” guy, to work smarter not harder, and to be efficient in use of my strength and energy. Not looking to impress others with how much hurt I can take. No doubt brute force is a great quality too, and I’ve used that as well, but finesse is my tendency. And it’s where I bias my coaching. So we trained sparring and strategies. Staying “in the pocket.” Staying “in the pocket”without getting hit, is a skill that takes training, practice and intuitional development, with maybe just a couple of hits along the way. Floyd Mayweather has that skill set. 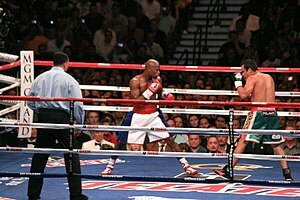 I just watched the Mayweather-Guerrero fight. Mayweather, at 36 years old is consideredold in boxing, but, is quoting his dad as “the less you get hit, the longer your career,” in regard to claims that he doesn’t go “toe to toe” or just stand there and trade punching. Guess what? As I’ve gotten older, that’s become even more important to me. Even if fighting isn’t your “career, it’s still true; the less you get hit, the longer your career, the longer you maintain good physical health, mental health, and well being. I never cared for some martial artists philosophy of “I’m WILLING to take one to give one” when it came to sparring and fighting. You may have to, but I don’t think willingness is the right predisposition. I’d rather my students be the hitter or “feeder” rather than receivers. Today, I repeated to the class that anything I tell or teach them is only 50% true. What? Not that I’ll lie to them, but that life, the universe, fighting, are so fluid and wavelike, that the opposite can be true at any point. Only they, in the moment, combining experience, intelligence, training, and sensitivity, can know the significant truth at the time. And that brings us back to “finesse.” My ideal “fight” is a couple of finishing blows to the opponent, without breaking a sweat or getting hit. I’ve always wanted to be slick with movement, variety of technique, and fine tuned motor skills. However, I’ve seen “run’em over” brute force methodologies. You can finesse a brute, brute a brute, brute a finesse opponent, and finesse a finnesser. But, who wants to be in a “war” or barely surviving, scarred and damaged, umm, not me. Contrast can be a significant advantage to those who know how to use it. Finesse and brutishness are two sides of the same coin. They should be included in that saying about there being a time for every season under heaven. You should train both, unafraid to discover and acknowledge your preference due to experience, body particulars, or karma. Knowing both sides will help you ride the fluid wave of a fight or self defense situation. Contact us for more information about our Kali Silat and Self Defense Training Group in Debary, Fl. Training this Sunday in Campbell Park in Deltona, 1pm. For the regulars attending the Deltona Sunday in the park training group, this Sunday we’ll be adding a little more intensity, speed, and power to the practice. We will still train safe, it makes no sense to me to have beginners get hurt before they fully learn a skill, but for something’s you guys and girls are ready to start projecting. Remember you are still in the compliance stage, not in the really trying to “get” each other stage. It’s a good way to learn. That said, we will continue to work sumbrada. I learned this particular practice from an Instructor named Jimmy Tacosa many, many years ago. I was impressed with how fast it made you, to reflexively change and adapt to a follow up movement, whether a defense or counter. 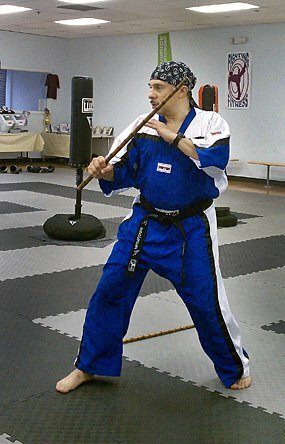 Then from Gregg Alland and others, I learned insertions, the disarms and finishes possible at each point. I hear some people pooh pooh the practice of sumbrada as mechanical. I don’t see it. At the early stages you are compliant, but that is the learning process for the drill. Even then you are continually adjusting things like distance, angles, footwork, breath, gaze…Once you have the drill down you add the insertions. Because the insertions can come at any point in the drill, it is less mechanical. add to that being able to recounter the insertion it becomes less mechanical. Add to that being able to shift to dakupt and punyo, hubuds, or any of the sinawalis and you have one of the most dynamic weapons training drills around. We’ll be having some fun. Anyone referred by their instructors are welcomed, thats why I’ve visited the local dojos, if you come with one of the regulars as well, or if you drop me an email or a call. As the instructor I reserve the right to decline anyone on the basis of attitude or behavior.